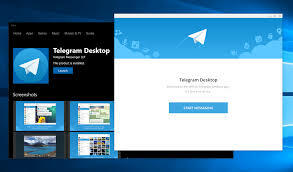 Telegram Desktop (Repack & Portable) is a program for Windows that allows you to use one of the most popular communication services at a distance. Using this application, you can quickly and conveniently exchange not only text messages, but also various files – photos, audio, video, etc. One of the main advantages of Telegram is complete confidentiality. In addition to using standard encryption technologies, this application uses automatic cleaning mechanisms for all traces of correspondence (both on the recipient’s device and the sender’s device). • Use Telegram on most popular operating systems and platforms. • Automatic synchronization of all messages between user devices. • Ability to create groups. • Works with the cloud, where each user has 1.5 GB of personal space. • High speed and full security of the application. • Completely free use without ads.